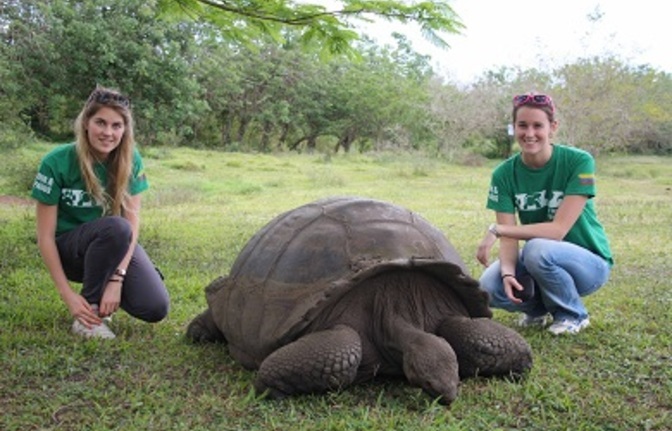 Lead Adventures works closely with Foundations in the Galapagos to provide this grassroots, local opportunity. 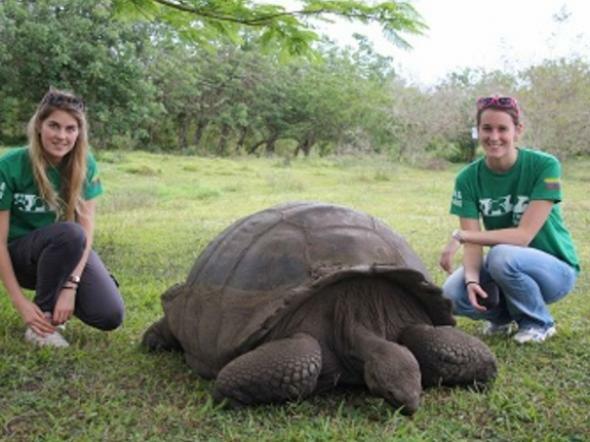 This trip is a combination of adventure travel and volunteer work which is more sought after by those going to the Galapagos. This is the authentic Galapagos Experience - something so real that most people will never see anything remotely like it in their lifetime. This is your chance to do something unique and to make a difference at the same time. On this adventure you are going to get your hands dirty but we guarantee it will be worth it. You will be contributing to the conservation of one of the most beautiful and unique places on earth. Meet new people, help the environment, while having the time of your life. Sign up for the 2 or 3 week program! ($1790 USD for 2 weeks or $1990 USD for 3 weeks) SANTA CRUZ (WEEK 1) The first week of the volunteer project is located on Santa Cruz, the second largest island after Isabela. Its capital is Puerto Ayora, the most populated urban centre of the islands. 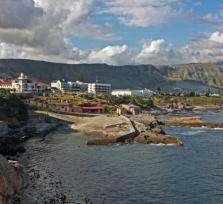 On Santa Cruz there are some small villages, such as Santa Rosa where the reserve is located. Santa Rosa is a rural area whose inhabitants work in agriculture and cattle farming. This island is a large dormant volcano. It is estimated that the last eruptions occurred around a million and a half years ago. The activities that participants will be performing include the following: Production of native and endemic species Reforestation Removal of foreign plant species Organic farming Production of compost and organic fertilizers Care of domestic animals Monitoring Giant Tortoises - depends on the season of the year (3 months per year and depending on the foundation planning). There is no guarantee that volunteers will work in this subproject. In your free time in Santa Cruz: Scuba diving: if you are PADI certificated. Puerto Ayora is perfect to find activities such as biking, hiking, snorkeling or boating toother Islands or Islets in the Area. Visit the Charles Darwin Station, follow the Biological Developments and visit LonesomeGeorge. Walk to Tortuga Bay, only a 45 minute walk from thePort, you will find one of the most pristine beaches in the Archipelago. SAN CRISTOBAL (WEEK 2) The Biological Station is located in the highlands of San Cristobal Island, 45 minutes by truck from Puerto Baquerizo Moreno. 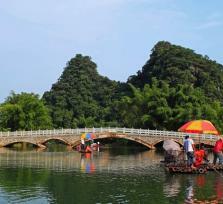 It is located on a 200 hectares site, where there is still native vegetation. The native vegetation consists of Miconias, ferns and other native floral species. The reserve is mainly an organic agricultural and habitat restoration project. The activities that participants will be performing are the following: Reforestation of native and endemic species in the reserve and in local farms (collecting seeds, classifying seeds, nursery work, planting within the reserve or nearby reserve, helping maintain reforestation lines, etc.) Environmental education with local people and schools. Station maintenance (trail maintenance, sign clarification for trails, basic construction activities, help clean the fresh water supply, help in kitchen, etc.) Organic agricultural activities and vegetable production (help maintain and secure food production for the station). Guided hike throughout reserve and/or nearby related areas (learn about biodiversity themes, natural history, & ecology). 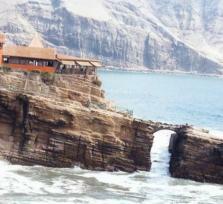 In your free time in Cristobal: Take a trip to Leon Dormido or Kicker Rock. This is a very interesting place to visit, located in the middle of the sea, and shaped like a sleeping Lion; it is an ideal place to snork or scuba dive ( if PADI certificated) Go to Puerto Grande; relax in the sandy beach while you observe seabirds, or to Punta Pill to spot the three species of Galapagos boobies nesting there. Surfing is available at Playa cabo del horno, Other activities include exploring the port, snorkeling on your own, and checking out some of the many tours available with local guides. ISABELLA (WEEK 3) Isabella is home to more wild tortoises than any other island on the archipelago. Isabela's rich animal, bird, and marine diversity is beyond comparison. Isabela's large size and distinct topography have created natural barriers for the slow moving tortoises. Apparently the creatures were unable to cross lava flows and other obstacles over time, causing several different sub-species of tortoise to develop. Today tortoises roam free in the calderas of Alcedo, Wolf, Cerro Azul, Darwin and Sierra Negra. Puerto Villamil is a small port village located on the southeastern edge of the island. On the southwestern edge of town there is a park with a boardwalk. It leads through mangrove habitats and saltwater lagoons filled with flamingos and other animals that come here to sweep the mud in search of brine. The activities that participants will be participating in are the following: Guided visit to the Isabella Giant Tortoise Breeding Center and Wall of Tears Tintoreras Islet Tour: From the Wharf you will board a speedboat that will take you for a ride around the bay or the small island of Las Tintoreras (white-fin sharks). From here you will be able to see penguins, sharks, blue-legged piqueros, pelicans, iguanas, and sea lions. There will be some time to snorkel (snorkel gear included) and you will be able to get a great view of the different variety of fish in the area. Volcano tour: In this tour participants can admire the beautiful landscape and the different lava formations produced by the most recent eruptions. (box lunch is included) On your free day enjoy the Island! Snorkel with sea lions at Concha Perla, lay on the beach, watch flamingos and explore the incredible surroundings! Activities for your free time: Scuba diving,snorkeling, Trekking, or bike in the wetlands Wake up early in the mornings, Go to Las Salinas and take beautiful shots of Flamingos to start your day. Relax on thebeach of the most beautiful Island in Galapagos, take a swim with Sea Lions orgo snorkeling on your own to Concha Perla, right next to the Main Port. Go to las Tintoreras and be amazed by the Penguins. The great part about Isabella is that you can explore the surroundings as the last week of the program is designed to let you plan your own activities while participating in the tours and activities on the itinerary.